Klaudia Kudełko is a student at Fryderyk Chopin University in Warsaw, studying with professor Alicja Paleta-Bugaj and Dr. Konrad Skolarski. As soloist, she has performed in many important concert halls in Poland, including the Grand Theater and National Opera in Warsaw, Łazienki Królewskie in Warsaw, Royal Castle in Warsaw, Palace in Radziejowice, and also abroad in Germany, Belgium, Italy, Denmark and United States of America. Kudełko also performed with orchestras such as the Philharmonic Orchestra in Kielce, the Philharmonic Orchestra in Rzeszów, the Symphonic Orchestra in Zamość, and the Zenon Brzewski Orchestra in Warsaw. 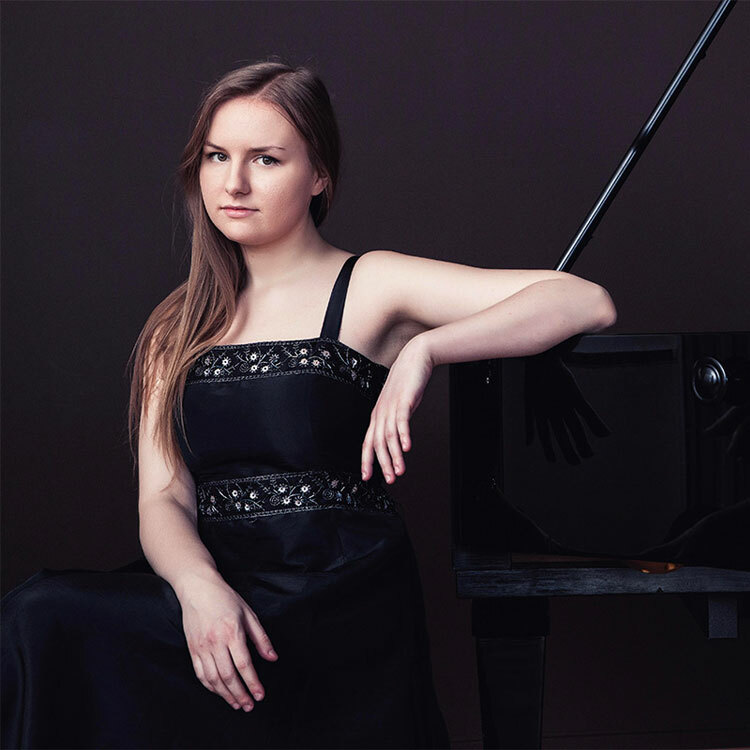 Klaudia has participated in masterclasses with Pavel GIlilov, Jacques Rouvier, Paul Schenly, David Jalbert, Pierre van der Westhuizen, Jerome Lowenthal, Andrzej Jasiński, and has been selected as a participant to prestigious festivals such as the International Mendelssohn Academy Leipzig in Germany, PianoFest Hamptons in the USA, ClaviCologne Music Festival in Germany, and Accademia di Musica di Cagliari in Italy, Accademia di Musica di Pinerolo in Italy. Klaudia Kudełko has been honored with awards from the Adam Mickiewicz Institute in Warsaw, the President of Zamość, the Marshall Office in Lublin and Kościuszko Foundation in New York.